Who needs to spend hundreds on a fancy HackRF, BladeRF, or USRP to listen in on the microwave bands? Not me, or you either, now! In this video I demonstrate using a modified $5 Directv SUP-2400 upconverter as a microwave L-Band S-Band C-Band down converter with an RTL-SDR. Modification instructions to follow later this evening or more likely tomorrow – Bookmark this page now and check back. An additional bypass is needed to skip the ~400MHz Low pass filter, and it's not exactly obvious either. After poking and proding around some I finally got it working. I'll post detailed pics and instructions. Have some Honey-Do's to do first. 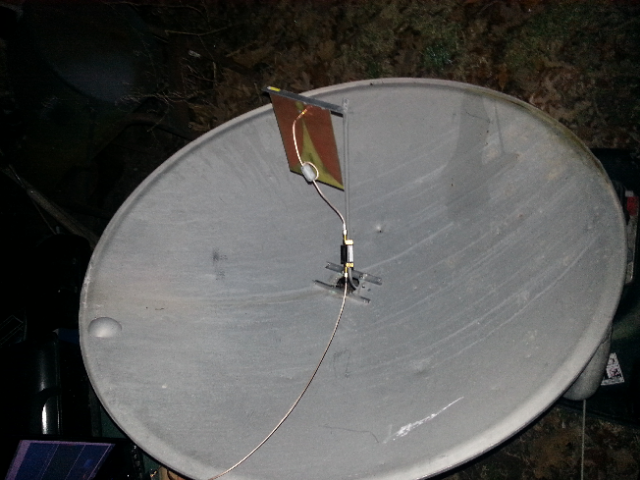 Props go out to Rob M0DTS for posting the original mod info, which is used to upconvert 70cm ATV into the L-band so a sat receiver could decode it, and Adam 9A4QV (of LNA4ALL fame!) 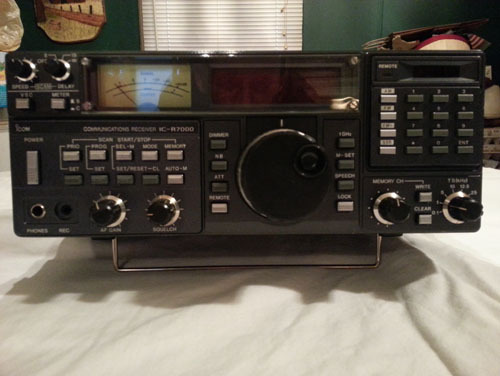 for turning me on to this unit a year or so ago on /r/rtlsdr. I finally got around to messing with it lately and here we are! So, realistically, in the U.S. you can spend around $25-$55 (depending on 820T2 or e4000) with shipping for an RTL-SDR and a SUP-2400 to receive roughly DC to 4.5GHz (~4.1GHz with an 820T/2 model). 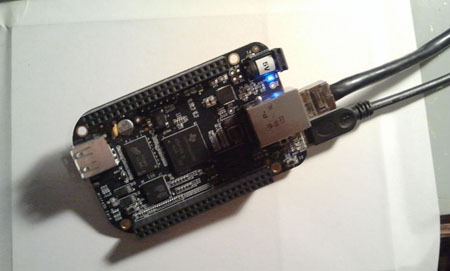 I recommend getting the highest quality dongle you can afford, from either NooElec or RTL-SDR Blog. I have several from both and only buy from them because the quality has been good and support is always on target. That sounded like a commercial. Wish I got paid for that! 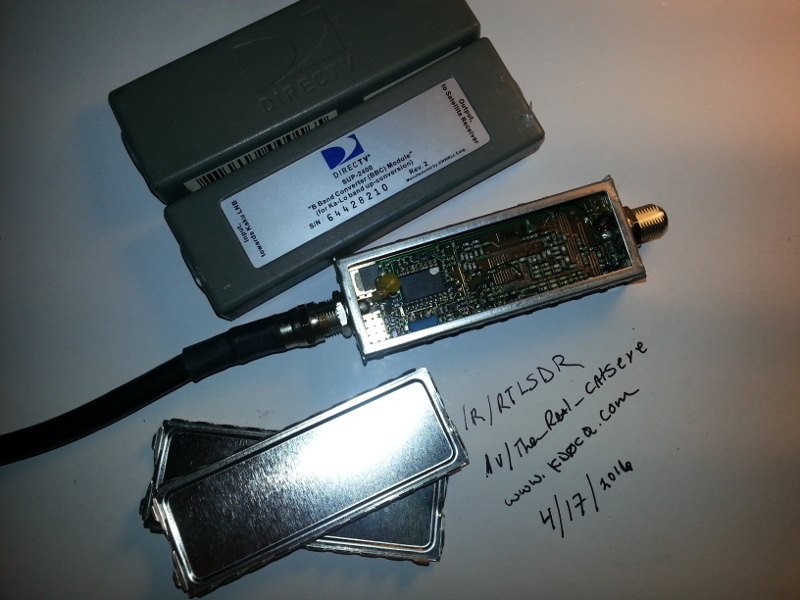 3 Comments on "SDR HACK – Receive up to 4.5GHz on your RTLSDR for $5.00"
Thanks so much for posting this, I’m going to give this a try over the weekend. I’m curious how stable the LO is in your experience and what is the actual LO frequency. I need to extend an Airspy up to around 3 GHz without a gap in coverage. Any info is appreciated! Hello, I am very much in to microwave work and this mod will be very helpful :). I have two of these SUP2400 modules to modify, but I have two questions. #1 I had acually planned on making a down converter using an AD5551 mixer that has +10db NF and a 36iip, and I was going to use an analog LO to cut down on phase noise. Do you think that this little module is pretty quiet? Would it work well for weak signal satallite/space work? I have an airspy and im looking to down convert without SWAMPPING its 3.5 db NF and adding a ton of harmonics? I see this box has a PLL and micro, where is the LO located and what is the original frequency the PLL is locking too? #2 and most important! I dont have a 12v bias tee, right now I am working to modify a a direct TV 25v power injector to act as a variable voltage bias tee. The thing is I want to keep my bias tee at 5v, Im modifying the injector to provide more current to 10 LNA’s on a patch array. 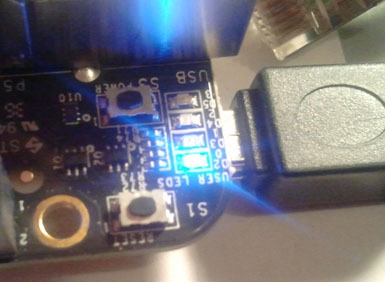 Is there any points on the PCB I can tap a 12v supply on to, that way I can keep my LNAs on there bias tee and not have to use DC blockers that will lower my NF? Nice website. I am interested in the dc to 4.5 GHZ RTL system. I’m disabled and low income. I cannot do any building. Can you help me out and donate a system to me?